Get quotes from up to 9 different A-rated auto insurance companies from our agency! If you need affordable car insurance in Palm Harbor, be sure to call the Coleman Insurance Agency. Located just minutes away in Dunedin, we can provide you with affordable car insurance quotes from our nine A-rated companies with policies customized for you and your family’s personal needs. Our knowledgeable agents can help you make informed and educated decisions. We will help you make the right decisions for your personal situation including qualifying for discounts to picking a deductible. Stop dreading shopping or renewing your auto insurance in Palm Harbor because the Coleman Insurance Agency will gladly accommodate you to make it quick and easy for you to get an affordable car insurance quote. We will go out of our way to make sure that purchasing affordable auto insurance from us is stress and headache free. Call our auto insurance agency today and allow one of our professional agents help provide you with a no hassle auto insurance quotes. At the Coleman Insurance Agency, we always work hard to insure that you will have the best auto insurance experience available. As an auto insurance agency, we know that our success is based on your satisfaction with our services. We will go out of our way to furnish you the exception service and personal attention that shows you how much we appreciate and value your business. Your automobile is a major investment and very important to your mobility. You want to make sure that you have it properly protected in the case of an accident. Our knowledgeable insurance specialists have the experience to help make sure you get the coverage you need at a price you can live with. Whether you need basic coverage for an older vehicle or full protection for your newer model car, we can find you the best coverage at an affordable price you can live with. Since we are a full service Palm Harbor auto insurance agency, we can also provide you with commercial auto insurance to protect your business vehicles. Whether your business has just one vehicle or a whole fleet, contact us today for commercial auto insurance quotes. At the Coleman Insurance Agency, we are dedicated to providing competitive Palm Harbor car insurance policies to business and individuals. 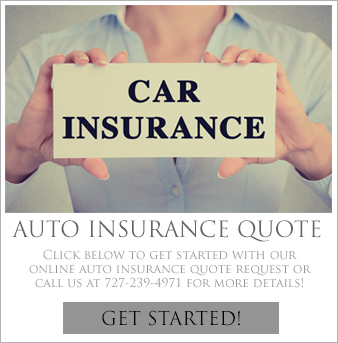 Call us today at 727-441-9911 or complete our online auto insurance quote request form to get information about the best policy for you today. Contact us to get the peace of mind you get from working with an established company agency that you can feel confident working with.